Chinese Medicine and Applied Kinesiology in Penfield: How is Nutritional Detox used to Eliminate Toxins from the Body? 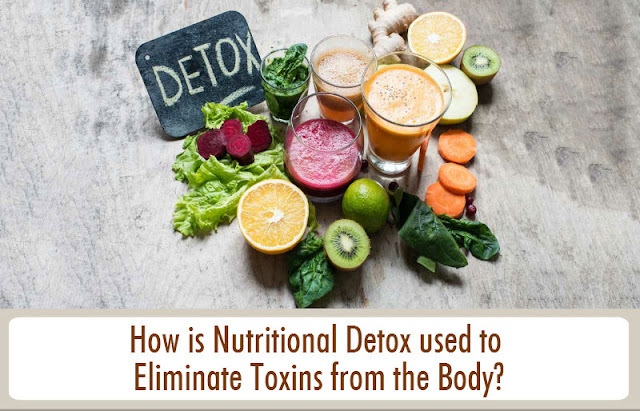 How is Nutritional Detox used to Eliminate Toxins from the Body? "With the growing environmental pollution, the level of toxicity in food is rising. This is the biggest problem in the 21st Century. Food items that are kept for several days develop enzymes that are extremely harmful to health. On the other hand, pollutants in the air cause many microbes enter our body without our knowledge. In such cases, ‘detox’ or ‘detoxification’ becomes a necessity for removal of those toxic substances from our body." Toxic substances cause many diseases that could potentially damage our respiratory, pulmonary and mental systems causing death. Governments in many countries are trying to control this issue. Samples of water and food are being tested time and again. And, as a result of those tests, the environmentalists have witnessed a continuous rise in this problem. Toxins produced by the body (known as ‘endotoxins’ and ‘exotoxins’) lead to several diseases like food poisoning, chronic and degenerative illness, and autoimmune disorders. Such problems can be solved using detox-diets. Nutritional detox works in two ways: cleansing and building. ‘Cleansing’ removes the toxic substances through fasting, and ‘building’ involves consumption of healthier nutrients to improve health. As you cannot eat and fast at the same time, you cannot follow both the steps simultaneously. Removal of toxins from the body or cleansing involves some serious fasting or juice fasting. Both cleaning and building are interrelated. You cannot start ‘building therapy’ without properly flushing toxins out of the body. In this therapy, the body uses nutrients to detoxify on its own and it works when the toxic substances are flushed from the body completely. In order to initiate building, some food supplements are necessary for addition to a normal diet. There are other methods of detoxification, like the ‘internal detoxification’. It is carried out primarily by the enzymes produced inside the body. The body produces enzymes that bind the toxins with water soluble molecules, and when toxins become water-soluble, they are flushed out of the body. Nutritional Detox is carried out in many countries around the world. However, any form of detoxification starts with a hygienic dietary plan. So, why not follow a hygienic life and keep from toxins!